Next Generation iPhone: Even though the next Apple Inc. (NASDAQ:AAPL) iPhone has yet to be announced, there are rumors floating around regarding the parts that could make up the new device. This is enough to get anybody excited, even those who may not be interested in upgrading to a new Apple smartphone right away. Along with rumored pictures of a low cost Apple Inc. (NASDAQ:AAPL) iPhone making the rounds earlier in the week, this time around it is nowhereelse.fr publishing images of a potential front facing camera for use in the iPhone 5S. Since the original recap of the images is composed in French, we are going to give you a rundown of what the possibilities are for this part. Japanese retailer Moumantai is the company responsible for revealing what appears to be a front facing camera that could be used in next generation devices. On the pages to come, you will be able to see the differences between the camera that is used in the current Apple iPhone as well as the one that is being reported as a potential replacement. At this point, however, the author of the piece is unsure of which future device the camera will make its way into. While the iPhone 5S would make the most sense there is no denying that it could be held back for the iPhone 6 or perhaps even used in a more affordable smart phone the company could release in the near future. If you have never seen an Apple Inc. (NASDAQ:AAPL) from the inside, you may not realize that subtle changes like these are actually a huge difference. As always, the company is looking for new ways to improve its iPhone and this is just one of the many features that will excite consumers. While we are unsure of what this change would mean to the performance of the camera on future iPhone models, internally speaking, at least, it is definitely a change. If these images are accurate and Apple does decide to use a new camera in the next generation iPhone, it will be different in many ways from its predecessor. Again, it is not known at this time if these images are accurate but all signs point to this being a camera for use in a future Apple Inc. (NASDAQ:AAPL) iPhone. Check out the images on the following pages for a better idea of how the camera has changed, when compared to the one used in the current iPhone. Which changes do you notice? 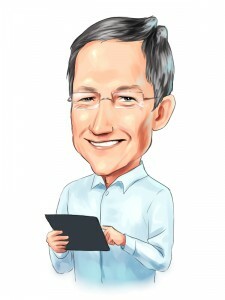 Apple Inc. (AAPL): Calling Bottom Is Dangerous What If Apple Inc. (AAPL) Traded Like One of These Companies? How Verizon Communications Inc. (VZ) Is Aiding the Dow Jones Industrial Average... Apple Inc. (AAPL), Cirrus Logic, Inc. (CRUS): Why Did My Stock Just Die? Apple Tablet Sales: Apple Can Rely on PC and Tablet Sales in the Future, Right... What to Expect of Apple Inc. (AAPL)?